Lately there’s been a lot of chatter (and ogling) going on around a particular part of a man’s body – below the belt. It’s happening all over the place from NY to Cali and I think it’s time we face this issue head on. Mankles. The new erogenous zone. That two inch gap between shoe and cuff that has the ladies going crazy. All kidding aside, a roll or two of the cuff of your slim fitting jeans, colorful khakis or other slightly tight-at-the ankle trouser can give your image a very different, summery vibe. I understand that for some who haven’t tried it, you may feel a little ankle shy, so let me guide you into baring your Achilles’ tendon with style, and (more importantly) without looking like a douche-bag. Firstly, the cuff roll only works with a slim fitting trouser. Anything too wide will just look like flood pants. If it’s a skinny jean or a slim fitting khaki give it a roll. A regular dress pant or “standard” cut pair of jeans will not work. You can, however, wear a more lose fitting trouser without socks, just don’t roll. It’s offers a more subtle hint of ankle action. Buy some no show socks. J Crew has some that work just fine. If your feet have been lovingly caressed in socks your entire life they may rebel against the feel of leather against their unscathed skin. Also, in the summer months sweaty feet can make your shoes smell and these very low-cut socks will stop your shoes from getting stinky. If you’re rocking a slim fitting suit, like ones I love from Zara or Thom Browne, show your mankles with a dress shoe or suede oxford. Don’t roll the cuff, wear your no-show shocks and let those ankles breathe. This look is particularly hot if that suede shoe or dress shoe has a little flavor to it – a colored lace, a fun color, a contrast color sole. But it can work with a regular shoe too. A yellow, navy or salmon colored slim fitting chino (I do love the Connor Slim fit at Club Monaco) rolled once or twice and paired with a Sperry Top-Sider boat shoe is a winning look. 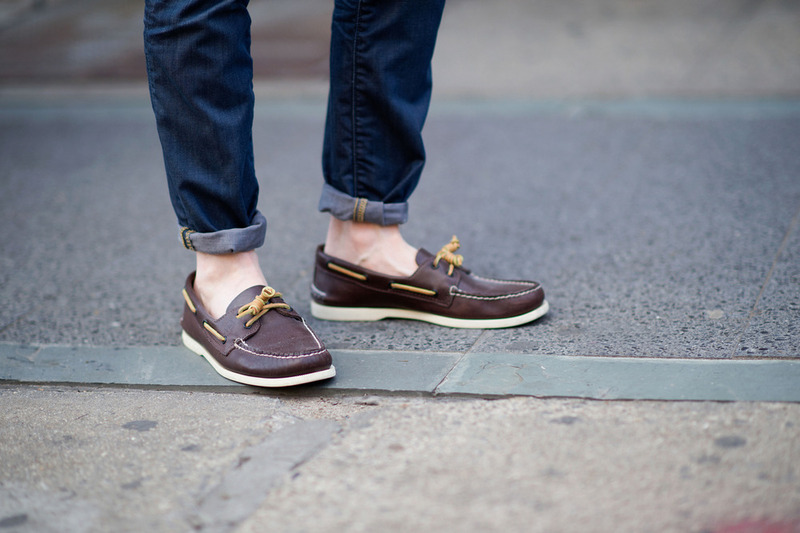 Alternatively, switch out the boat shoe for a casual loafer. Change up the chino for your dark, slim fit jeans and a short sleeve button down for a slightly more dressed up summer feel. 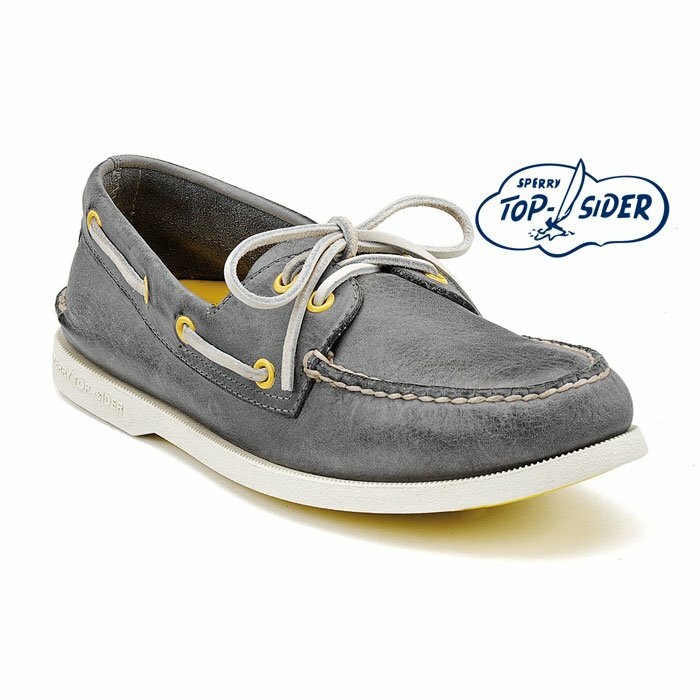 Jeans with almost any kind of casual canvas shoe is a casual, stylish look. As always keep your work out shoes for the gym, but try out your “dressy” sneaker with your dark denim. Gentlemen it’s time to show off those ankles.